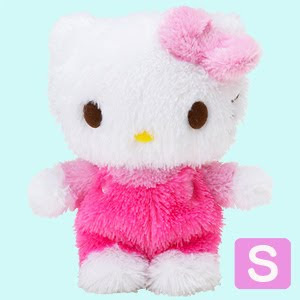 In sanrio stores, there is a new kind of Hello Kitty plushie. On Saturday when I found out one of my local Sanrio stores was closing, I visited another local Sanrio store @ Hollywood, where I did my Sanrio Therapy Shopping. I spent $78 in total. 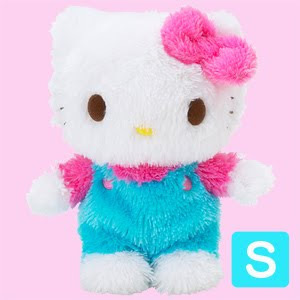 The 10.5 inches tall plush below cost $30, but definitely worth the money. What I did not expect to find where pretty good looking pens that was made in 2009! 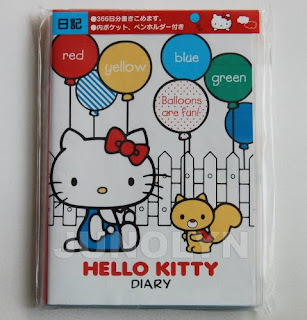 ^ What makes this Little Twin Stars and My Melody multi color pen so special is that it also has a mechanical 0.5mm pencil inside combined. 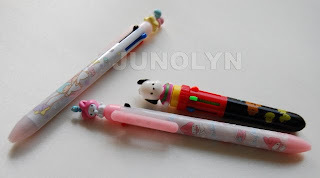 At first, I was puzzled because I couldn't find the mechanical pencil option, until I pushed down the pen's clip. So cute when I found that neat lil trick. 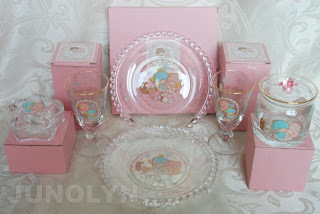 As promised, here is a group picture of my Little Twin Stars' *Romantic* 2009 glassware set.